Don’t you wish we could just take the month of December off? I mean, off as in no laundry, extra-curricular activities, groceries, house cleaning…..you know, just put it all on pause to fully enjoy the season? Sit around drinking egg nog, socializing and baking cookies? I know, I’m a dreamer. Today, I didn’t really get that picturesque holiday moment. I listened to Christmas music playing in the background as I plodded through all the mundane things in life. I did however manage to get two gifts crossed off my list. 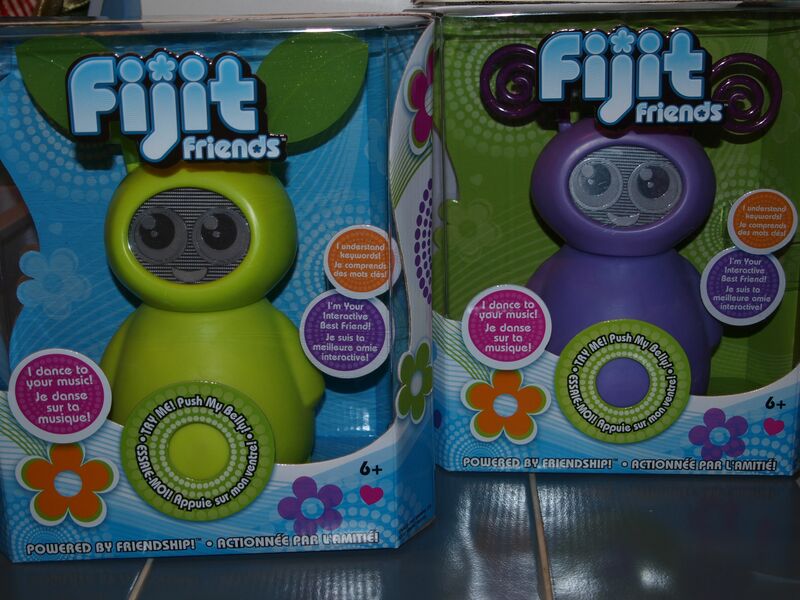 Annoying toy of 2011. Have you heard these things yet? 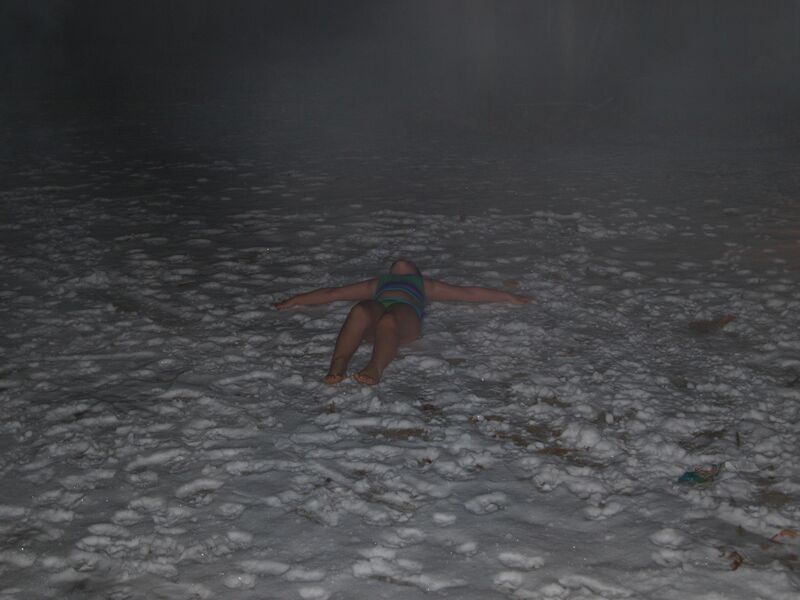 Then, later in the day, we also managed to throw in making snow angels in our swimsuits. Actually, that’s misleading. My husband and children made snow angels, I watched from the hot tub. Guess who was freezing taking the picture? Only 21 days left until Christmas! Make the most of it! Oh those damn Fijits! I have two under my tree, same colours as Morgan and Ava’s, green and purple. Too funny. Do NOT bring those with you next time you venture to London. You already cursed me with the introduction of “Justice”. Yeah, sorry about that. 😉 I’m just glad we don’t have one here yet! Also, I think that an unfortunate accident might befall the Fijit fiends after about a month or so.